“What the Robin Knows” by Jon Young. Tune in to bird language, nature’s bioalarm system. “How to Read Nature” by Tristan Gooley. Interpret causal relationships, high cirrus clouds means rain the next day! “Bringing Nature Home” by Douglas Tallamy. Want to support birds, butterflies and bees? Plant a variety of native plants in your yard and they will come. “How to Read Water” by Tristan Gooley. Navigation and environmental cues. “Biomimicry” by Janine Benyus. Innovation inspired by nature. 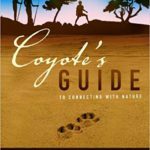 “Coyote’s Guide to Connecting with Nature” by Jon Young, Ellen Haas and Evan McGown. Orient your students to the natural cycle of learning and the book of nature. “The Homing Instinct” by Bernd Heinrich. Homing to the environment’s cues. 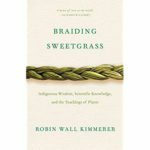 “Braiding Sweetgrass” by Robin Wall Kimmerer. A confluence of western science and indigenous ways of knowing. 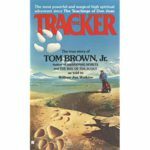 “Tracker” by Tom Brown Jr. A young boys mentorship in tracking and awareness by an Apache-Lipan elder.